Don't miss this opportunity to be the first to live in this brand new home. Inspired by the hottest designer homes in Phoenix; Las Cruces gets a taste of modern, luxury living. 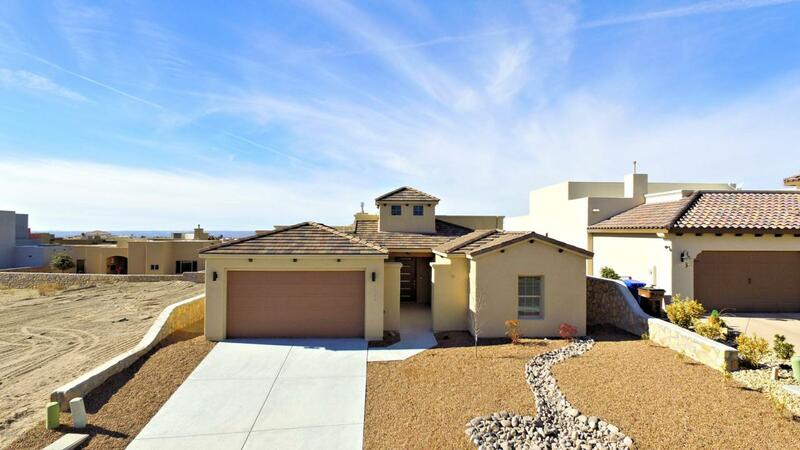 You can have your cake and eat it too, with a gorgeous, new home in the sought out neighborhood of Sonoma Ranch. The location is close to shopping, hospitals, and schools and is on a minimally trafficked street surrounded by beautiful, well-maintained homes. Prepare to be impressed upon entering with its astounding high ceilings, open floor plan and natural light. . Two-toned kitchen cabinets, open shelving, stainless steel appliances and a large granite island add a fresh modern feel. You'll enjoy this open and split bedroom floor plan with tile accents and light fixtures that enhance. The master closet is a gem in this home, and it is connected to the laundry room with a folding counter. Storage space abounds in this home and is all ready for you to move in!